For nearly 40 years the Calgaz brand has been synonymous with unsurpassed quality, reliability and service. Our passion for quality is demonstrated in every product we ship. This commitment is what sets us apart from every other calibration gas provider. Calgaz remains the industry leader because our customers continue to have complete confidence in the accuracy and reliability of our calibration gas products. Calgaz creates partnerships with our customers in order to understand their needs and provide solutions that exceed their expectations. Model 715, DFR 2000 Series, or Trigger regulators. Most applications require Teflon® tubing. The Calgaz 58 Cylinder meets European Standard EN12205, U.S. DOT-39 and Canadian TC-39M Specifications. Note: All mixtures are N.I.S.T. traceable. 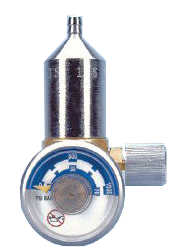 The Calgaz 103s Cylinder meets European Standard EN12205, U.S. DOT-39 and Canadian TC-39M Specifications. Connection is 5/8-18 UNF thread (not CGA connection). The Calgaz 116 Cylinder meets UN ISO11118 Specifications. 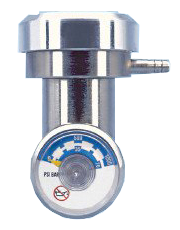 850 liters (For low vapor pressure products, this volume may be reduced). The Calgaz 850 Cylinder meets U.S. DOT-3AL and Canadian TC-3ALM Specifications.